Just Nic It is a nicotine booster shot: convert your favourite 0mg e-liquid into one containing nicotine. Just add to your nicotine-free liquid of choice and give it a nicotine boost right away! 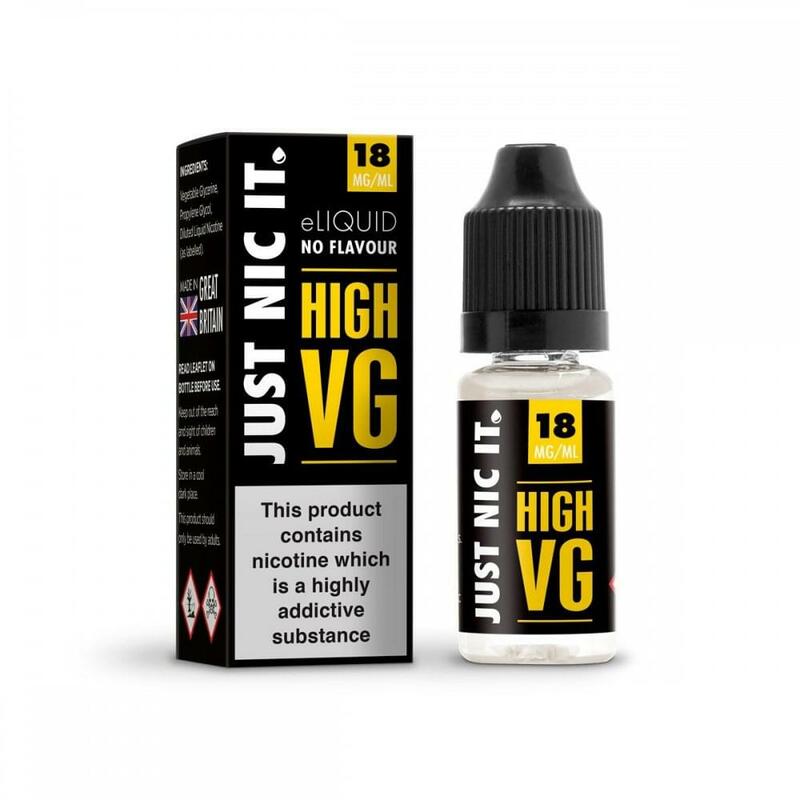 A 10ml, 18mg bottle of Just Nic It added to 50ml of your favourite 0mg liquid will convert it to 3mg. Just Nic It has a 80% VG formula and should be used with e-liquids of a similar consistency.